Latina Mom Bloggers and Pampers. Pampers Swaddlers are Pampers’ softest diaper ever, and while moms have always loved Swaddlers for their newborns, Swaddlers are now available through size 5! So baby can stay in the diaper mom loves throughout her baby’s diapering years. From your baby’s first smile to their first step, Swaddlers can now be there for many more firsts to come! 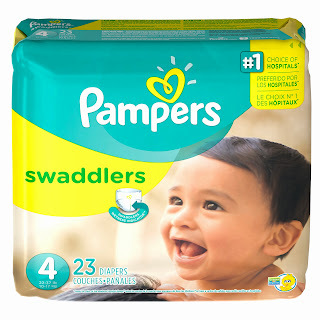 FREE Swaddlers diapers & wipes for a year. So we want to know…how do YOU celebrate your children’s “firsts”? I celebrated my children's firsts in many different ways! I celebrated their first steps by video taping it and sharing it on facebook with family and friends! From their first haircuts to their first tooth falling out we tried to make a big deal for them. We have baby books for all the kiddos and took note of when they did things from smile to rolling over all the way up to loosing their first tooth. We look at those books often and try to remember when they were little and sweet! We celebrate firsts with pictures, sometimes special meals depending on the first. I always try to get good pictures and possibly a video of them doing their new thing. I then make sure to add it to their baby book. I celebrate by taking as many photographs as possible of those first moments and then, scrapbooking them! I try my best to document them with pics and videos. I also try to write down as many as possible in their baby books. We take lots of pictures. I try to capture them on film! My entire iPhone is full of them lol! I keep everything together in a baby book! I mark all their first milestones down on a chalander and then keep the calander. Pictures!!! They seem to capture always the best moments!! We usually have a big party with family and friends. Thank you so much for this awesome giveaway and Happy Holidays!! We take lots of photos. Pictures! tons of them! I'm called mammaratzi! I try to write a journal for each of my children that includes their firsts, and of course a lot of pictures! My baby is 8 weeks, but I took lots of pictures when she first started smiling. I try and take lots of pictures. I was so happy when I had the camera ready to go when she rolled over for the first time I caught that one on video. Yay! TRY AND TAKE A PICTURE...OR WRITE IT IN A BOOK! I try to write it down. I write it down and try to get pictures/videos! We take lots of pictures! this would be great for a friend! with my niece and nephew, we always take lots of pictures to remember firsts and other great moments. I keep a journal of both my kiddos firsts. It is really neat because I have a terrible memory. We get out the videocamera. Then she stops doing it immediately, lol. To celebrate firsts we bake!! My now 3 year old and I make mini cupcakes or cookies! Plus, pictures! photos, scrapbook pages and losts of excitement! Since my youngest 3 kids were adopted, we missed some of their traditional firsts. We try to celebrate firsts that most families wouldn't think of. We take pictures and maybe have a special treat. We will write a journal entry to them to tell their future selves about it! I definitely try and take pictures of any "firsts" or milestones. We write everything down in my son's baby book. I take pictures and write down memories month by month on my ipod touch. We took lots of pictures and wrote everything down in Eliana's baby book. I keep a baby book and I post all over social media! lol, who doesn't these days? We document everything with photos. I try to take pictures of any important moments or milestones. We take pictures and scrapbook them! We always try to have a camera around so we can capture every moment! We take as many pictures as possible and I write them down in my childrens baby books. We just take pictures and sometimes video. I've kept a photo book of all their first milestones with dates.